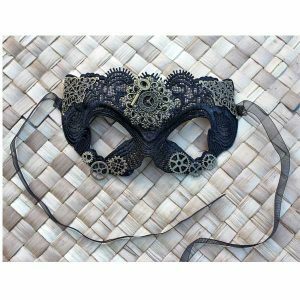 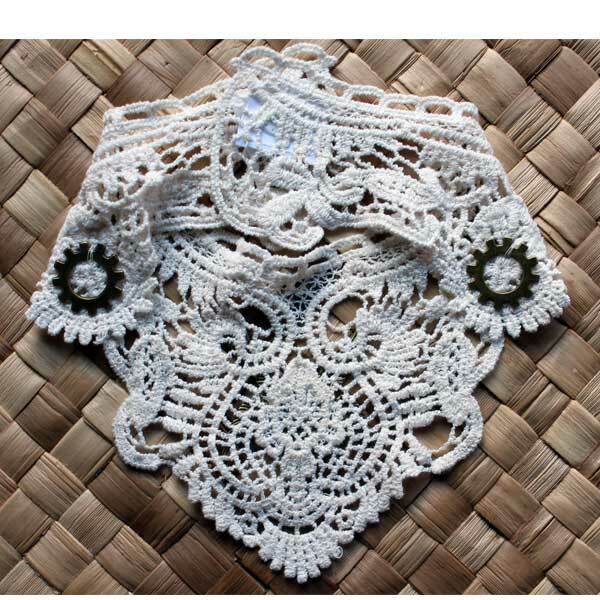 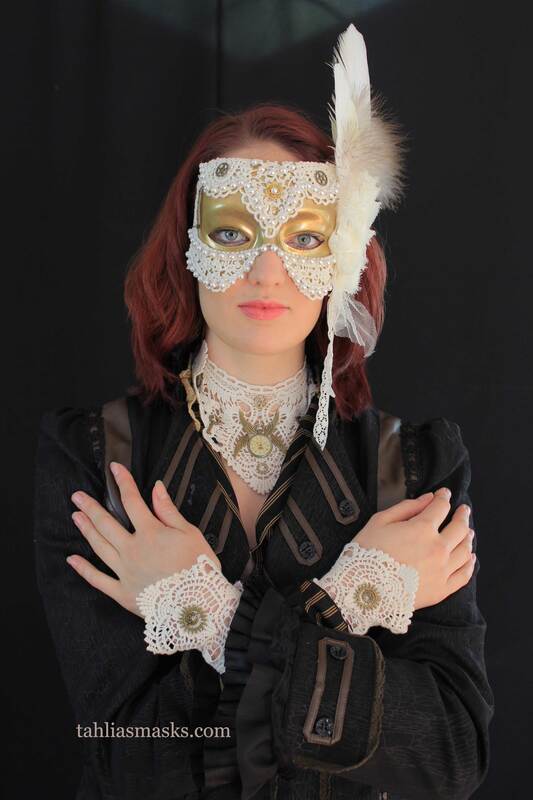 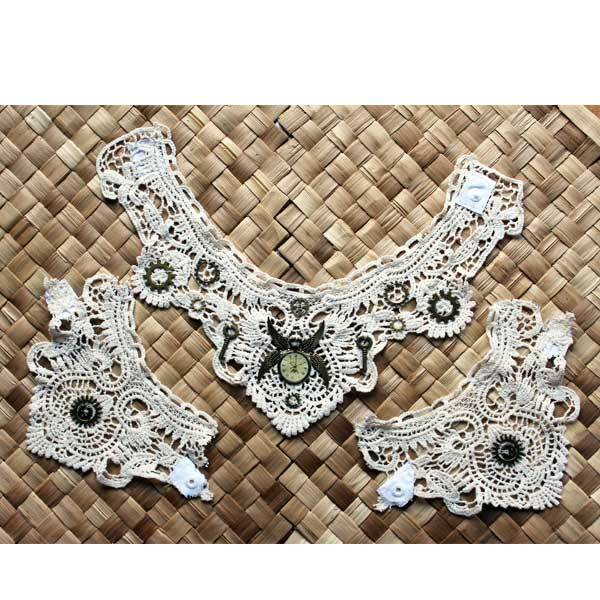 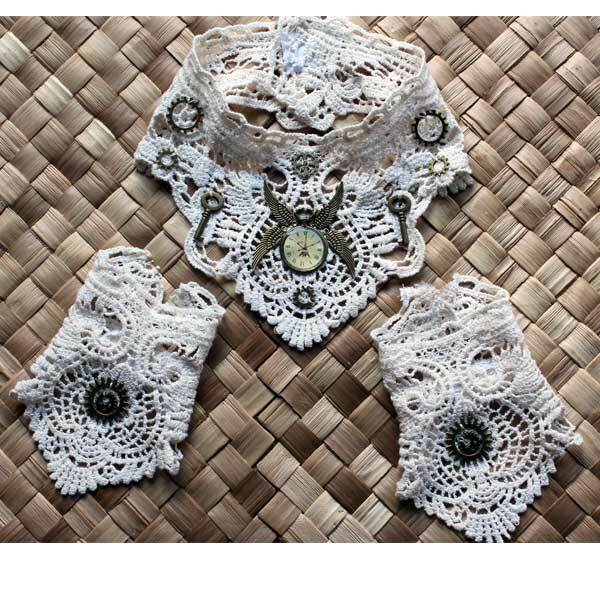 This cream lace steampunk collar and cuff set is made from cotton, so it’s very comfortable to wear. 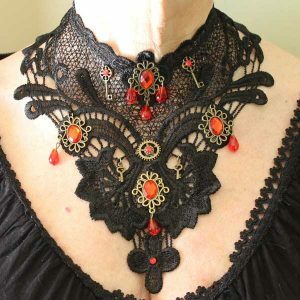 It looks great with bare shoulders too. 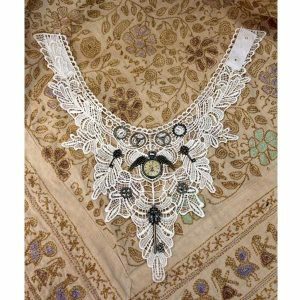 Add it to a simple top and turn it into a statement. 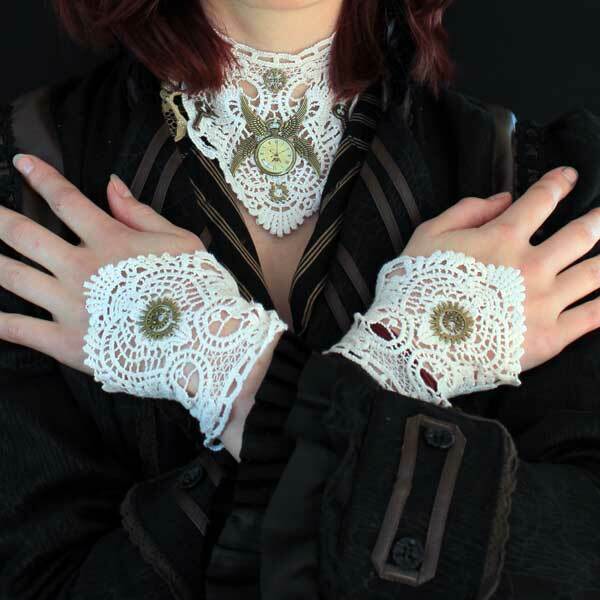 The cuffs and collar do up with plastic press studs. 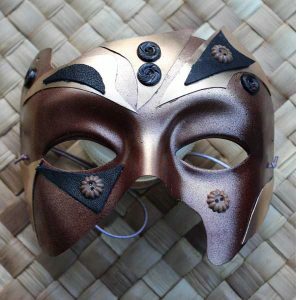 The last photo shows one of my masks that matches the set perfectly. 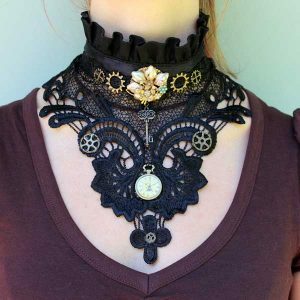 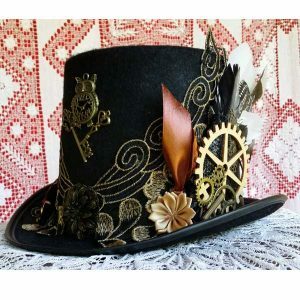 This cream steampunk collar is made from cotton lace decorated with brass charms and closed with plastic press studs.